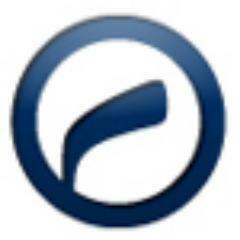 After a 1 week hiatus, Adam & JC are back for edition #39 of Pucking Thoughts Radio. In this edition we'll reveal our Top 31 goalies in the NHL. 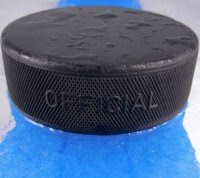 We'll also get in to all of the big signings from the past week, the Montreal Canadiens decision to charge for paper tickets, and plenty more in Short Shifts. It's all inside the latest PTR! After a brief hiatus, Adam & JC are back to recap all the happenings, signings and deals since free agency began. They'll also take a look at the players left on the market and the Ilya Kovalchuk saga, plus Short Shifts (the Islanders could be going home again). It's all a part of the latest edition of Pucking Thoughts Radio! There won't be a Pucking Thoughts Radio this week (we'll be back next week!) due to Adam having to travel. But with it being one of the best times of the year on the hockey calendar, the first few days of free agency couldn't be ignored. Here are some thoughts on the moves made by all 31 teams. Anaheim Ducks: Adding Ryan Miller is about as perfect a backup situation as the Ducks can get. John Gibson is still young and is a tad injury prone, and Miller can handle a bigger load than the average backup. Also, Miller calls Southern California home. Extending Patrick Eaves on a three year deal also makes sense considering the success he had with Anaheim after the trade deadline. Extending Cam Fowler also eases the blow of losing Shea Theodore to Vegas. Boston Bruins: Missed on Shattenkirk and Daley, but have been rumored to be in the running for Matt Duchene. Getting something done with RFA David Pastrnak is GM Don Sweeny’s top priority at the moment. Buffalo Sabres: The team with the second-worst record in the East made some significant changes. Bringing in D Marco Scandella and W Jason Pominville from Minnesota for forwards Tyler Ennis and Marcus Foligno was a great first move by new GM Jason Botterill. Brining back Chad Johnson as an insurance policy for Robin Lehner is also a shrewd move. 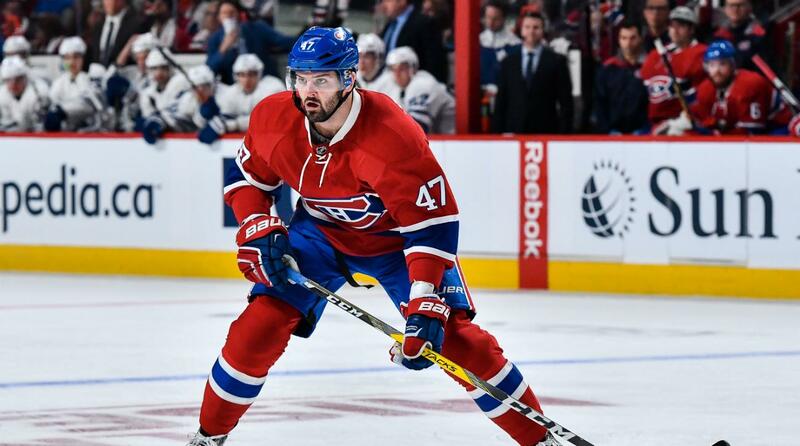 The signings of forwards Benoit Pouliot and Jacob Josefson aren't wow additions, but they'll both play every night. Calgary Flames: The Flames were able to keep W Kris Versteeg and D Michael Stone. Versteeg is a good source of secondary scoring; Stone helps fill out a blueline that got a big boost with the recent acquisition of Travis Hamonic. Eddie Lack completes a new-look crease with Mike Smith handling the bulk of games. Curtis Lazar, Michael Ferland and Sam Bennett are all pending RFA’s at the moment. Carolina Hurricanes: Justin Williams is bringing some swagger back to Raleigh. They'll be a trendy Wild Card pick in the East, but their chances would be better in any other division. Acquiring Marcus Kruger really helps their Penalty Kill and gives them a stronger bottom six. Chicago Blackhawks: Bringing back Patrick Sharp is low risk/high reward since it's a one year deal (it seems like they're trying to recapture good times with an old flame with the additions of him and Brandon Saad). Tommy Wingels and Lance Bouma help fill out the bottom-6 with some experience, especially with the aforementioned Kruger gone. The Hawks will be leaning a lot more on their core this season. Colorado Avalanche: The worst team from 2016-17 is still in dire need of blueline help, but they still have Matt Duchene to move. Jonathan Bernier will get the job done when Semyon Varlamov inevitably gets hurt. Nail Yakupov will get every opportunity to redeem himself on a bad team and prove he can be an every night player. Getting Colin Wilson for a 4th round pick was a solid move by Joe Sakic, but this roster is still in terrible shape. Columbus Blue Jackets: Another team that made their big off-season moves via trade (Artemi Panarin for Brandon Saad), but didn’t do much else in free agency. They were said to be in the running for Ilya Kovalchuk before that fell through. Panarin will need to prove he can produce without Patrick Kane on the opposite side of the rink. Detroit Red Wings: Signing Trevor Daley was their only major move, but he'll help a thin blueline and he gives Jeff Blashill another power play QB option. They're relying on their young talent (Dylan Larkin, Anthony Mantha) to take a big step this season. Edmonton Oilers: Peter Chiarelli did most of his shopping in-house, keeping Zach Kassian and Kris Russell in town. He also acquired Ryan Strome for Jordan Eberle earlier in the off-season from the Islanders. Of course, keeping Connor McDavid in town for 8 years at $12.5 million per season was the most important move. Now that the franchise cornerstone is set, next up is getting a deal done with RFA Leon Draisatl. Florida Panthers: I like the addition of Radim Vrbata. He could flirt with 30 goals again now that he's on a better team. The bigger addition is Evgeni Dadonov from the KHL, and he could be another solid scoring source for the Panthers in their top six. Los Angeles Kings: Mike Cammalleri is an okay player when he's healthy, but that's not often enough. Darcy Keumper may get a decent amount of work if John Stevens is smart and gives Jonathan Quick plenty of rest this season. Minnesota Wild: Kyle Quincey is a good cheap/injury blueline option, but I still don't get the trade with Buffalo. They had to move a defenseman, but they couldn't get a better package dangling Marco Scandella and Jason Pominville? Maybe Tyler Ennis's speed and Marcus Foligno's toughness will help in spots, but they gave up the top two players in that deal for the bottom two. Montreal Canadiens: After trading Nathan Bealieu to Buffalo and losing Alexei Emelin to Nashville (via Vegas) in the expansion draft, they had to make an addition on the blueline. I think Karl Alzner will play consistent, solid minutes for them, but with potentially losing Andrei Markov too, getting David Schlemko from the Golden Knights doesn't offset the losses. It had to be a kick to GM Marc Bergevin's crotch to have the Radulov-Dallas news come out right after their meager one year deal with the ever injured Ales Hemsky. Jonathan Drouin will be counted on heavily this season for offense, and they'll expect the newly re-signed Alex Galcheynuk to be a big contributor, too. Nashville Predators: Nashville still has some RFA’s to take care of (Ryan Johansen, Victor Arvidsson, Pontus Aberg), but reigning GM of the year David Pole has done an okay job. Bringing in Nick Bonino helps offset the loss of Mike Fisher (if he retires, and Bonino is a better player at this point in his career), and Scott Hartnell should experience a bit of rejuvenation playing for his old team and coach again. The Predators have an excellent top four defensemen already, but the addition of Alexei Emelin will allow them to actually roll all three pairs of defensemen and keep PK Subban, Ryan Ellis, Mattias Ekholm and Roman Josi a little fresher. 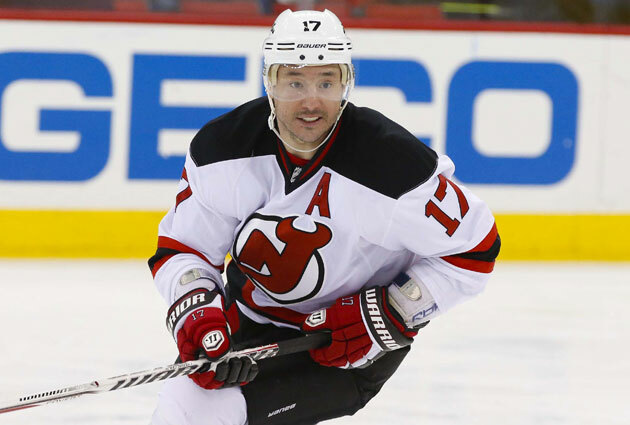 New Jersey Devils: The big addition of the off-season with the #1 draft pick Nico Hischier, but the bigger story for now is not being able to trade Ilya Kovalchuk (who will return to the KHL this season). Keeping Keith Kinkaid to backup Cory Schneider was smart, and the additions of Brian Boyle and Marcus Johanssson (via trade with Washington) definitely helps, but the Devils need more. I know you don’t make a trade just for the sake of making a trade, but I’m curious what offers Ray Shero was getting for Kovalchuk. New York Islanders: Jordan Eberle was their big off-season acquisition (and hopefully a mainstay on John Tavares’ right wing), but they were quiet otherwise. They still get attached to the Matt Duchene rumors, but you’d like to think something would have happened by now if it was going to happen. Calvin de Haan and Adam Pelech are RFA’s on the blueline that need to be kept. New York Rangers: The Rangers snagged the top prize on the 2017 Free Agent market for below market value thanks to Kevin Shattenkirk growing up just a little north of Madison Square Garden. Depending on how Alain Vigneault/Lindy Ruff constructs the defensive pairings, Shattenkirk and Ryan McDonough would be one of the top defensive pairings in the league. Ondrej Pavelec may have been an inconsistent starter, but he’ll be fine backing up Henrik Lundqvist. The David Desharnais signing has potential to be a real bargain, but it fills a void (and he’s good on faceoffs) down the middle if nothing else. Ottawa Senators: It’s been a quiet off season in Canada’s capital city. They brought in Nate Thompson and kept Mike Condon around to be Craig Anderson’s backup. GM Pierre Dorion still has RFA’s JG Pageau (coming off a strong playoff performance) and Ryan Dzingel to get done. Philadelphia Flyers: #2 overall pick Nolan Patrick is the big addition of the off-season, but they also kept Jordan Weal, who many teams were hot for apparently. Their big change was in the crease, bringing in Brian Elliott to replace the departed Steve Mason. 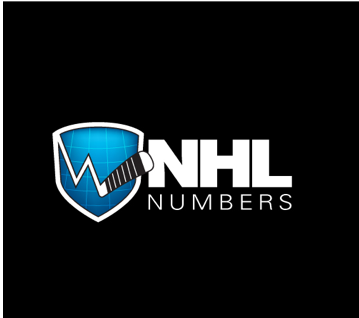 Both Elliott and Michal Neuvirth make about the same amount of money, so it will likely be a “play the hot hand” scenario until someone emerges as a number one. It would be interesting to see Finns Jori Lehtera and Valtteri Filppula on a line together. Pittsburgh Penguins: Most of the core of the two-time defending champs remains in place, but a more affordable (but less good) Antti Niemi replaces Marc Andre Fleury as the backup goaltender. Trevor Daley and Ron Hainsey are gone from the blueline, but Matt Hunwick will take one of their places, and Kris Letang will be back from injury next season. They have the young depth to replace the losses of Bonino and Chris Kunitz. Ryan Reaves gives them some toughness, but Jim Rutherford paid a tall price for the hulking winger. San Jose Sharks: The Sharks look pretty much the same since they were able to bring back Joe Thornton, but Mr. Shark Patrick Marelau is now a member of the Maple Leafs. I think Doug Wilson kept the right aging franchise icon. Timo Meier is going to have a much bigger role next season. It looks like the Sharks are banking on the fact that their team ran out of steam down the stretch this year, and not that they need an upgrade anywhere. St. Louis Blues: The only free agent acquisitions were Chris Thorburn (who should find a home in their bottom six) and Beau Bennett. GM Doug Armstrong made his big move by acquiring Brayden Schenn from Philadelphia, and he should fit in nicely with his new team. Tampa Bay Lightning: Trading Jonathan Drouin for D Mikhail Sergachev (who will likely be with the team out of camp) was the biggest move of the off-season for Steve Yzerman. Chris Kunitz should find a comfortable home on the third line, and D Dan Girardi will eat some minutes for them, primarily because he has to since they don’t have many defensemen. Toronto Maple Leafs: With the amount of young talent on the Leafs’ roster, their priorities this offseason was adding depth and experience. Ron Hainsey (on the blueline) and Dominic Moore (center) will help with the depth part, but Patrick Marleau helps with both. He isn’t the Patrick Marleau of old, but on this team he’ll have reduced minutes and won’t be counted on as much. They also kept Curtis McElhinney to be the backup to Frederik Andersen for the next couple of seasons. Vancouver Canucks: Vancouver wasn’t in a position to make big moves this off-season, and they didn’t. The additions of Sam Gagner, Alexander Burmistrov and Michael Del Zotto are all sound deals that will make the Canucks more competitive. Jacob Markstrom still has to prove himself as a true #1 goalie, and adding Anders Nilsson will either push him to become the top guy or they'll share the crease with the hot hand. With Henrik & Daniel Sedin’s contract up at the end of the season, GM Jim Benning (provided he’s still around) will be able to make bigger splashes next off-season with their combined $14 million coming off the books. Vegas Golden Knights: When you have your own draft to pick from a pool of players in the league, you’re not going to do much in your first free agency season. George McPhee will have a much busier free agency season next summer. 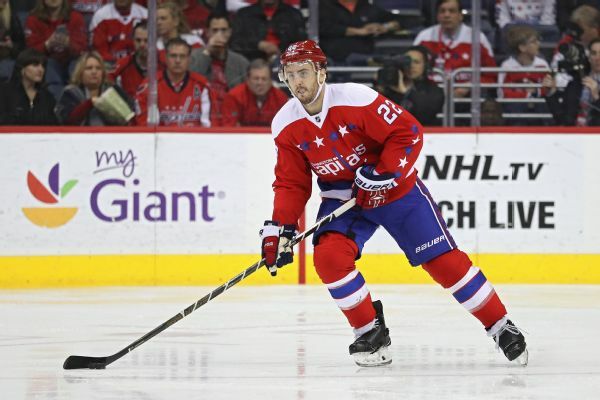 Washington Capitals: They kept TJ Oshie (for way too long of a contract), extended Evgeny Kuzentsov, Andrei Burakovsky and Dmitry Orlov, but lost Shattenkirk, Alzner & Nate Schmidt. They signed Devante Smith-Pelley to help fill out the bottom of the roster, but they still need two more forwards and another defenseman. They also need to sign RFAs Phillip Grubauer, and this all needs to be done with about $5.5 million in cap space.